First, I must apologize to those of you who were expecting this post last week. We had an amazing opportunity come our way and I wasn’t able to sit down and write last week but, as some would say, better late than never, right? 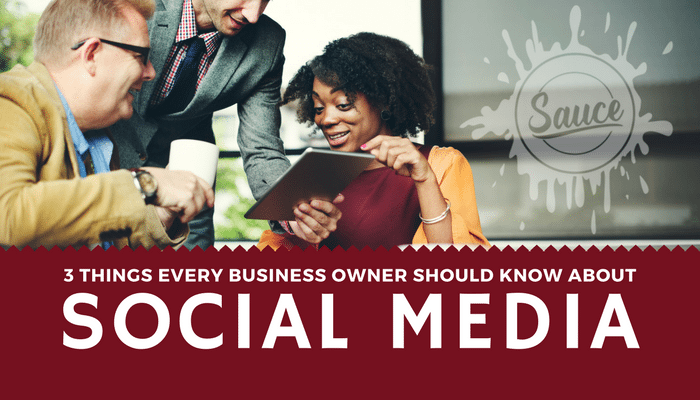 So, as promised, I’d like to share with you 3 Things Every Business Owner Should Know About Social Media. Now, you may be thinking, “Only 3? There must be more than 3 things I need to know!” and if you thought that, you’re right… BUT, if you only know 3 things, these are the 3 that are most imperative, to start. Many business owners believe they must have a presence on every platform, but a presence doesn’t simply mean creating an account, uploading a profile photo and liking/following a few other feeds. A presence means you are present and engaged with the people who are on that platform and connected to you. In the same way you wouldn’t open a brick and mortar location, set it all up, unlock the door and walk away, you can’t do that digitally either….but setting up a feed on a platform and not being actively engaged is the equivalent of just that. Instead, think about your target audience and where you can find them on the web, then start with that platform. Grow a quality audience there and wait to expand onto other platforms until you are ready, or have the means to hire someone who can manage it for you. If you’re in a business-to-consumer industry, Facebook is a great place to be actively engaged. If you are business-to-business, you might consider LinkedIn as your focus. Targeting an audience that is on the younger end of our population? Focus your efforts on Instagram. The bottom line is to know your limits, and if it isn’t feasible for you to manage multiple platforms, don’t create an account on multiple platforms. If you are you reading this advice too late and already have abandoned social feeds gathering cobwebs all over the internet, don’t let them continue to loom over your head. It’s time to DO, DELEGATE or DELETE. We’ve all heard the saying, “A picture is worth 1,000 words” and if that’s true, you must carefully consider what 1,000 words your profile photo is saying about you. On a business/company page, it’s easy to use your logo–and that’s perfect–but on the pages where your face is in that profile photo square, it’s crucial that you consider how you will be perceived. 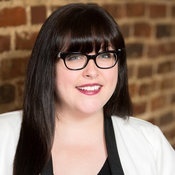 Your profile photo is the first thing a potential connection looks at when deciding whether or not they’d like to connect with you. What is yours saying about you? A professional headshot is a worthwhile investment and doesn’t have to cost an arm and a leg. If you’re in the Greater Memphis Area, we offer a $99 headshot that is perfect for this. If you’re not in the Memphis area, find a decent photographer and get a professional headshot. If you just can’t swing paying for one right now, find a background that isn’t too distracting and have a friend take a photo of you with their phone. It’s important to put your best face forward, especially when it comes to business relationships, because you never get a second chance to make a first impression, digital or otherwise. It’s much easier to give this some thought and lay out the ground rules on the front end than it is to go back and implement a policy as a reaction to something negative that has happened. Let’s say you’ own a regional coffee shop. It could be something as simple as an employee, who is linked to your company via their job info, posting a photo with a friend at the local “Big Boy Coffee Chain” and saying how awesome their new Giant triple, mocha, half-caff, extra hot, rainbow latte is. Now, although it wasn’t intentional, that employee has just undermined your brand because as your employee, they represent your brand even when they’re not at work. You’d think it would be common sense not to promote the competition of the company who gives you a paycheck, but you’d be surprised. This example is on the mild end of what can happen when you don’t communicate expectations on the front end. Don’t wait until it’s too late. Think through all the scenarios and take a proactive approach! 4. If an employee comments on any aspect of the company’s business, they must clearly identify themselves as an employee and include a disclaimer. 8. Employees should neither claim nor imply that they are speaking on the company’s behalf. 10. The company reserves the right to request that certain subjects are avoided, withdraw certain posts, and/or remove inappropriate comments. If you read all of this and didn’t learn anything new but you are tied of managing your own social media accounts, it might be time to turn it over to a pro. We at Sauce would love to be considered for the job…. and as always, if you have any feedback or questions, please click here to shoot us a message.